Do you support your staff who have family commitments such as children, elderly parents or other dependents? Have you introduced workplace policies to support your staff achieve a healthy work-life balance? 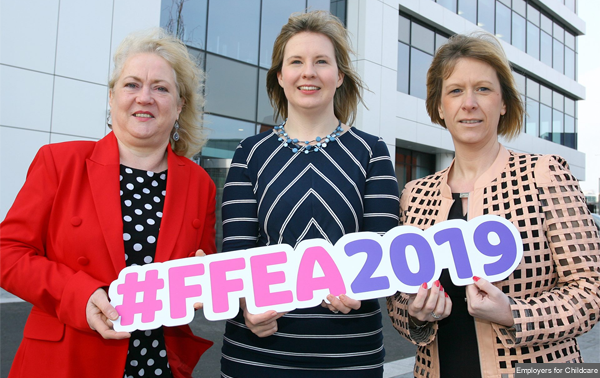 If so, you can enter the Family Friendly Employer Awards 2019 to gain the recognition and reward your business deserves. The message to employers this year at the launch of the Family Friendly Employer Awards 2019 is ‘you can’t do a good job if your job is all you do’. The awards recognise organisations from all sectors across the UK who go above and beyond the legal requirements to provide family friendly policies in the workplace. The awards are free to enter and you can enter by downloading and completing the awards application form (DOC, 236K). There are also tips and advice for applicants (DOC, 47K) to help make their application a success. Also see our case study introducing flexible and family-focused workplace policies – Adventures Day Nursery who were the small private sector winner of the Family Friendly Employer Awards in 2018.